Description: Spiritual Quotes - Rejoice evermore. Pray without ceasing. 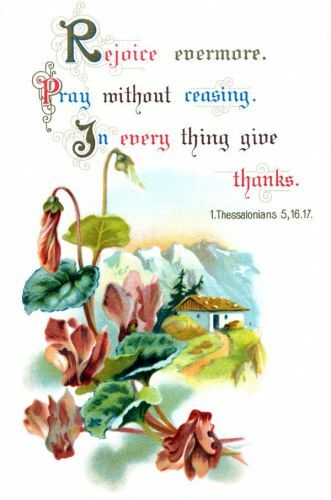 In every thing give thanks. 1 Thess. 5-16,17.